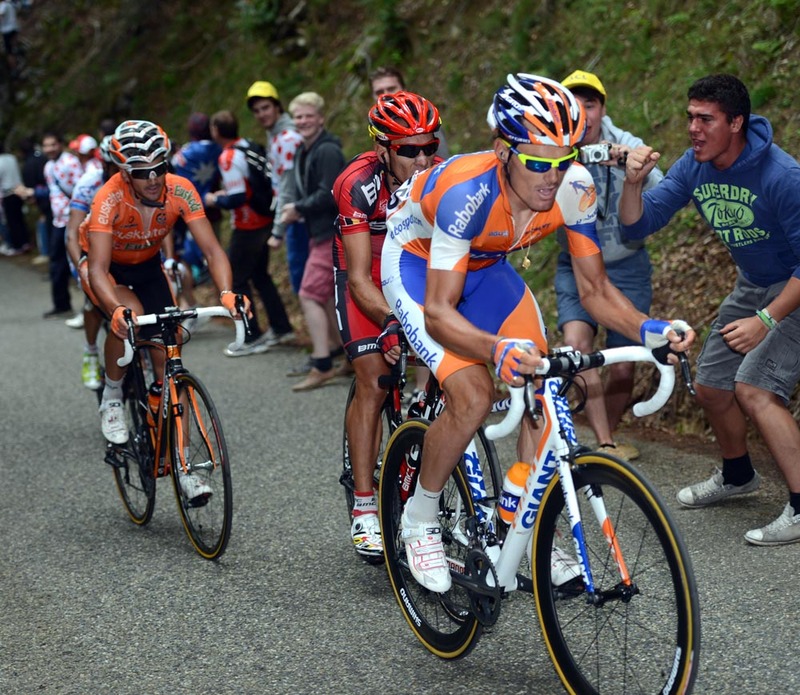 Luis Leon Sanchez saved Rabobank’s dismal Tour de France by soloing to an impressive victory in Foix this afternoon. The Spaniard broke clear from a strong five-man group that contained points competition leader Peter Sagan (Liquigas-Cannondale) and Phillipe Gilbert (BMC Racing) 11km from the finish to take his second win in the Tour in as many years. This result will come as a welcome relief for his team, who go into the final week of the race with only four riders remaining. However, Sanchez’s victory is likely to be overshadowed by a day of drama in the peloton, after reports of tacks being placed deliberately on the top of the day’s final climb, the Mur de Péguère. Defending champion Cadel Evans almost paid the price for this act of sabotage, as he punctured at its summit and was left waiting for a replacement wheel. 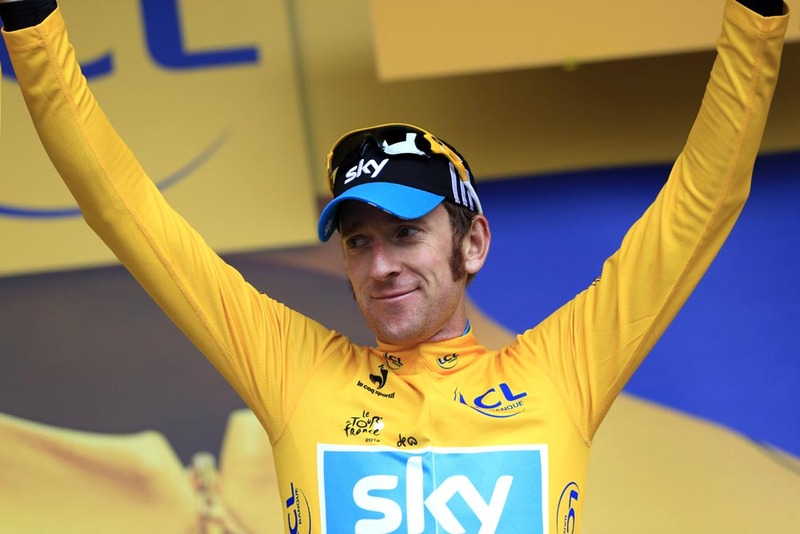 However, a slowing of pace ordered by race leader Bradley Wiggins allowed him to rejoin the peloton before the finish. As a result, the general classification remains the same as it was before the stage. Once again, Sagan was again active throughout, with his attack 35km in to the stage leading to the day’s winning breakaway. The Slovak – who had unsuccessfully attempted to break clear in the opening 15km – was one of 11 riders in the lead group, which also included Gilbert, Sanchez and Sandy Casar (FDJ-Big Mat). Sagan took maximum points in the sprint at Tarascon-sur-Ariege after 99km, and with no rider any threat on the GC, the escapees were allowed a maximum advantage of 16-05 with 40km remaining. Sanchez, Gilbert, Casar and Euskaltel-Euskadi’s Gorka Izaguirre attacked from the leaders on the third and final climb of the day, the first-category Mur de Péguère. Sagan bridged the gap having initially been distanced by the leading quartet towards the top of the narrow and steep 9.3km-long climb, which was making its debut in the Tour de France. At the top of the climb, Evans punctured, and was left to watch the peloton race away as he waited on the roadside for a replacement rear wheel. The next BMC rider up to the Australian was Brit Steve Cummings, who himself also had suffered a flat. With team cars not permitted on the climb, Evans was initially left stranded. Andreas Kloden (RadioShack-Nissan) and Michele Scarponi (Lampre-ISD) also punctured at the top of the climb. Maillot jaune Wiggins – who himself changed his bike shortly after the punctures occured – called a truce in the peloton on the descent in an attempt to allow BMC to get their team leader back on. However, Europcar’s Pierre Rolland did not obey, and launched a short-lived counter attack on the descent into the finish. Ahead, Sanchez launched a brilliantly-timed move a few miles out of Foix and, despite the strength of the chasing four, stayed away to take his fourth victory in the race. Sagan predictably won the sprint for second to edge ever closer to victory in the points classification, while the peloton – thankfully now free of any problems – rolled across the line a shade over 18 minutes after Sanchez. 5. Gorka Iziguirre (Spa) Euskaltel-Euskadi all at st.
7. Sebastien Minard (Fra) Ag2r-La Mondiale at st.